The government shutdown has put in jeopardy the upcoming field season for the U.S. Antarctic Program – a potentially major blow to dozens of research projects nationwide, including a large-scale expedition investigating ice sheet dynamics and climate change and to be led by NIU geologist Ross Powell. The National Science Foundation (NSF) is likely to cancel the upcoming field season if the shutdown continues through mid-October, Nature magazine reported. Powell and NIU geology professor Reed Scherer, along with two Ph.D. students, were scheduled to depart for the Antarctic after Christmas. Powell is to lead the second field season of a project known as WISSARD, for Whillans Ice Stream Subglacial Access Research Drilling, and Scherer also plays a lead role in the research. 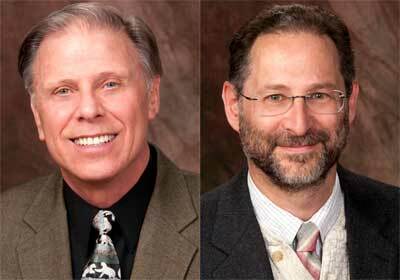 NSF supports the $10 million, multi-year project. 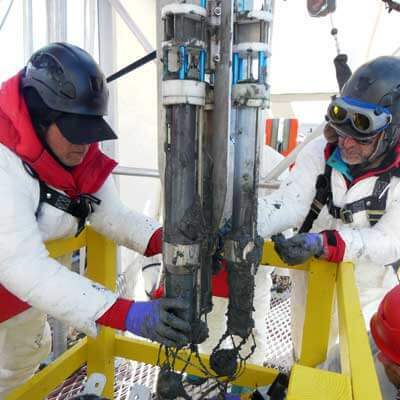 Last winter, WISSARD scientists made international headlines when they drilled through a half-mile of ice, penetrated Subglacial Lake Whillans and discovered bacterial life living in the dark and inhospitable water beneath the West Antarctic Ice Sheet. This final field season, scientists had set out to return to the Antarctic wilderness to again drill a half-mile through the ice, this time investigating the grounding zone between the ice sheet on land and sea water beneath the floating ice shelf. sediment from a subglacial Antarctic lake bed. “In order to predict effects of global warming, it’s critical for scientists to understand what is happening at the grounding zones, which play an important role in ice sheet dynamics,” Powell said. In addition to the NIU contingent, more than 40 scientists and students from nine other major universities are involved in the coming field season, along with outside engineers and technicians. Data from the project is sought to help climate modelers predict what the future might hold for our warming planet, particularly in terms of rising sea levels that could result from melting ice sheets. Powell said because of the federal government budget sequester earlier this year, the coming season had already sustained significant cuts, resulting in a reduction in personnel and scaled-back goals. Dozens of students from multiple universities, including at least three from NIU, are depending on data from the project for their theses and dissertations, Scherer added. “We’re outraged at the process that is our capital city,” Scherer said. “Just consider the stunning inefficiencies – to plan something carefully for many years and spend millions of dollars on it, only to have it all thrown into disarray. “When you make an investment of public money and then cut off the project before it reaches its full result, to me, that is the essence of waste,” Scherer added. Powell and Scherer have been working in the Antarctic for decades, collecting data and developing tools to help explore remote environments never before observed firsthand, including Subglacial Lake Whillans. Through a series of sub-ice rivers and streams, the lake feeds into the sea water at the grounding zone. If the season is canceled, millions of dollars in research equipment already at the Subglacial Lake Whillans site will sit idle and likely be buried in snow during the Antarctic winter, which begins in March. 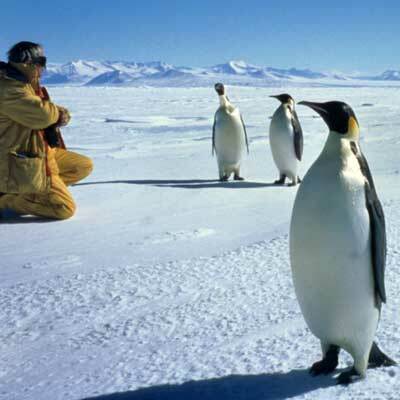 The equipment would need to be dug out and retrieved at a future time, when the U.S. Antarctic Program is up and running.